Dr. Kristinn R. Thórisson and Hlynur Halldórsson L.LM. gave a talk on IIIM’s IP model at UT messan and discussed how the institute reaches its targets with this new approach. Effects of high-tech on product development, services and users in modern society have been substantial and continue to increase. An enormous research and development effort lies behind this development. Granting businesses access to results of basic research, pre-competitive research findings, and prototypes can positively impact their capacity to gain a real competitive advantage in the market. But is the traditional framework of ownership in today’s widely-used IP models well-suited to support the exploitation of new ideas in product development? Can we do better in the way we support knowledge transfer and how the involved parties treat ownership and exploitation rights? Are businesses’ current methods and traditions of treating intellectual property suitable to increase their competitive advantage? Would it be possible for different organizations to share research and technology developments by using the same core technology in different products and services with a specially designed IP model? 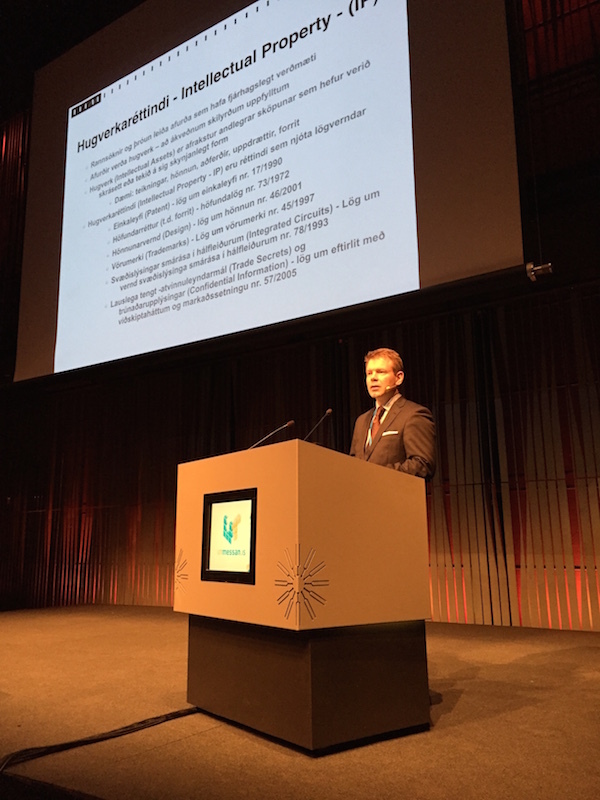 The lecture presented the new IP model that the Icelandic Institute for Intelligent Machines has been developing with its partners during the last 6 years and the lecturers discussed how the institute reaches certain targets that can be hard to achieve with other methods.